Laura Moore’s exhibition, one man’s junk, showing at grunt until March 22nd, looks at the product of consumer waste and discarded objects. In this exhibition, Moore uses limestone as a canvas to document discarded electronic objects, such as old computer monitors, that most tend to overlook. Looking through grunt’s archives, you will find that this theme of artists critiquing consumer waste features prominently in the history of the Vancouver art scene. 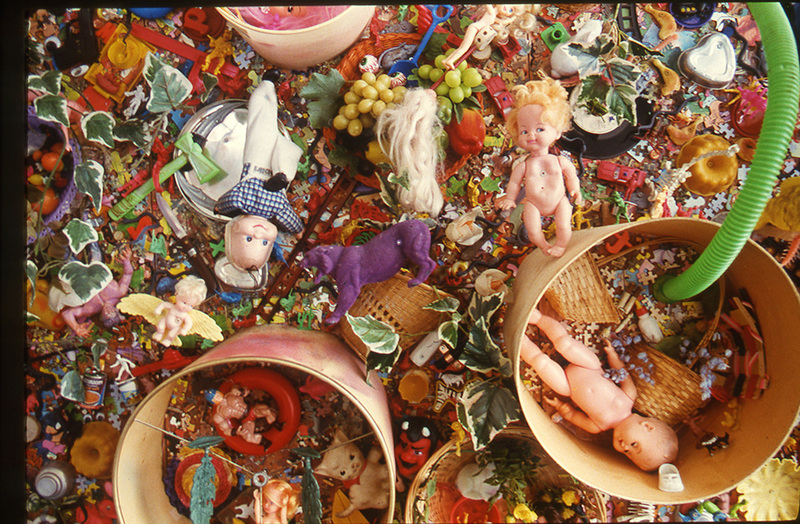 The themes of consumption and discarded objects are particularly evident in the 1992 grunt exhibit Two Walls by Vancouver assemblage artists Ken Gerberick and Marcia Pitch. The artists’ respective pieces, Crushed Wall and Off the Wall, which filled two walls in the grunt space with found objects, expressed an overwhelming feeling that society was mired in over-consumption, consumerism and waste. Gerberick’s industrial themed objects versus Pitch’s toy themed works created a striking juxtaposition of discarded objects, affording viewers no escape from their complicity in the issue at hand. 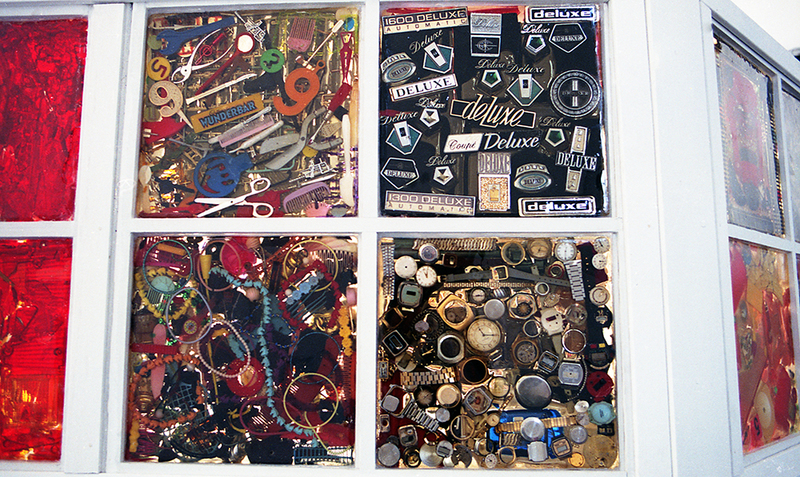 The assemblage art aesthetic featured prominently in the grunt archives during the late 1980s and ‘90s, but this aesthetic seems to have dropped out in the mid-‘90s. Gerberick and Pitch both identify rising rent prices as one of the contributing factors to this decline, making it more difficult for artists and galleries to exhibit this type of show, and note that assemblage pieces generally are not of interest to commercial galleries. Gerberick, coming from a punk tradition, feels that if his work does not challenge or discomfort people then it’s probably not incisive enough. He sees a connection between assemblage art, Dada (Kurt Schwitters being his hero) and punk/noise music. The central concern, of course, in these forms of media is the control over materials. It allows the artist to disassemble and reassemble things in ways the original creators did not intend. There is a unifying theme seen ion the work of Gerberick, Pitch and Moore, mainly their concern with making viewers aware of their own complicity in consumerism, consumption and waste production. The changes in the “junk” we consume and dispose of has made it more difficult for assemblage artists to remove or distort the industrial/technological stamp of the image. Moore faces a similar dilemma, and by creating these objects in limestone she is able to bring a more human element into these ubiquitous plastic machines. Marcia Pitch’s Between Madness and Delight will be showing at the Reach Gallery Museum on September 25th, 2014. 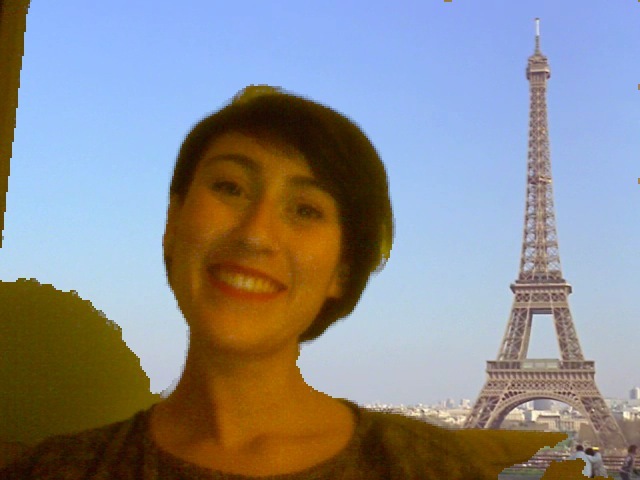 Audrey moved moved to Vancouver after graduating from the University of Alberta with a degree in Physical Anthropology and Linguistics. She’s enrolled in the Art History Diploma program at UBC and began volunteering at grunt and the Vancouver Art Gallery shortly afterward to become more familiar with the Vancouver arts community. 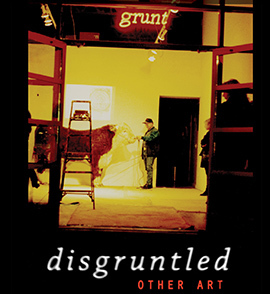 She is currently a docent at the VAG and continue to work on the labour of love that is the grunt archives. This past September, Audrey started an Internship at the SFU Museum of Archaeology and Ethnology where she is working as the Curator of Archaeology, Research and Collections Care Management. She is interested in public programming and creating inclusivity within the arts.